By Bryan Thao Worra. Cross-Posted from On The Other Side Of The Eye. 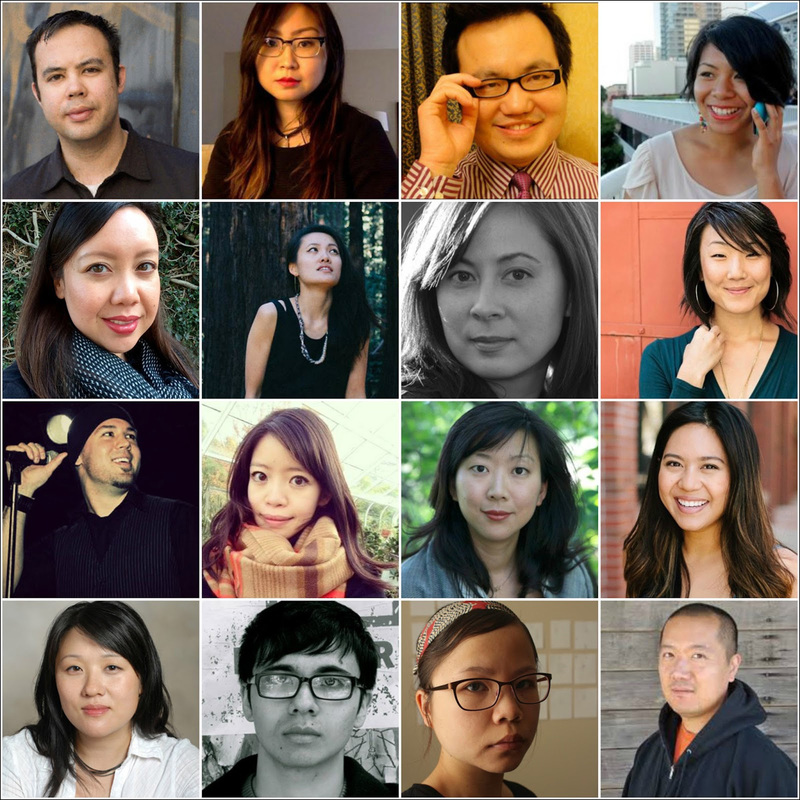 Following a month of research and asking over 388 Asian American poets, scholars, publishers, and community builders familiar with the academic, small press, mainstream, and underground Asian American literary scene, over 30 books and chapbooks of Asian American poetry have been identified for publication in 2016. I've posted a public album of the covers of these books on Facebook and Flickr with author information and book information as available. I would also note that this year has an impressive showing among the Vietnamese and Filipina poets, and it's a delight to see the Hmong and Khmer communities have works put forward this year as well. A special thanks to Victoria Chang, Alyss Dixon, Mari L'Esperance, Grace Loh Prasad, Sun Yung Shin, and Marianne Villanueva for their assistance in putting this list together with me. I‘m particularly happy to see that this year has been a good year for many poets to debut their very first book or chapbook, because it’s so important for us to get more of our poetic voices out into the world, now more than ever. Leviathan by Neil Aitken. Hyacinth Girl Press. Naming the No Name Woman by Jasmine An. Two Sylvias Press. Shipwreck Smiles by Lauren Andrei. Rookhaven. Theory on Falling into a Reef by Michelle Brittan Rosado. Anhinga Press. Standing Water Dreams by Eleanor Chai. Farrar, Straus and Giroux. one of us is wave one of us is shore by Genève Chao. Otis College of Art and Design. and Hillary is Dreaming. Make Now Books. House A by Jennifer Cheng. Omnidawn. In the Tongue of Ghosts by Jade Cho. First Word Press. Hardly War by Don Mee Choi. Wave Books. Ghosts Still Walking by Do Nguyen Mai. Platypus Press. Islanders by Teow Lim Goh. Conundrum Press. Driving Without a License by Janine Joseph. Alice James Books. A History of the Cetacean American Diaspora by Jenna Lê. Anchor Plume. Solar Maximum by Sueyeun Juliette Lee. Futurepoem Books. Map of an Onion by Kenji Liu. Inlandia Institute. A Love Song, A Death Rattle, A Battle Cry by Kyle "Guante" Tran Myrhe. Button Poetry. Violet Energy Ingots by Hoa Nguyen. Wave Poetry. The Old Philosopher by Vi Khi Nao. Nightboat Books. Small Wars by Hai Dan Phang. Convulsive Editions. The Romance of Siam: A Pocket Guide by Jai Arun Ravine. Timeless, Infinite Light. Imaginary Vessels by Paisley Rekdal. Copper Canyon Press. Radio Heart, or How Robots Fall Out of Love by @Margaret Rhee. Finishing Line Press. Power Made Us Swoon by Brynn Saito. Red Hen Press. microchips for millions by Janice Sapigao. PAWA. So Much Synth by Brenda Shaughnessy. Copper Canyon Press. Unbearable Splendor by Sun Yung Shin. Coffee House Press. Year Zero by Monica Sok. Poetry Society of America. Night Sky With Exit Wounds by Ocean Vuong. Copper Canyon Press. OVERPOUR by Jane Wong. Action Books. Poor Anima by Khaty Xiong. Apogee Press. Additionally, Ode to the Far Shore, Platypus Press. Blackacre by Monica Youn. 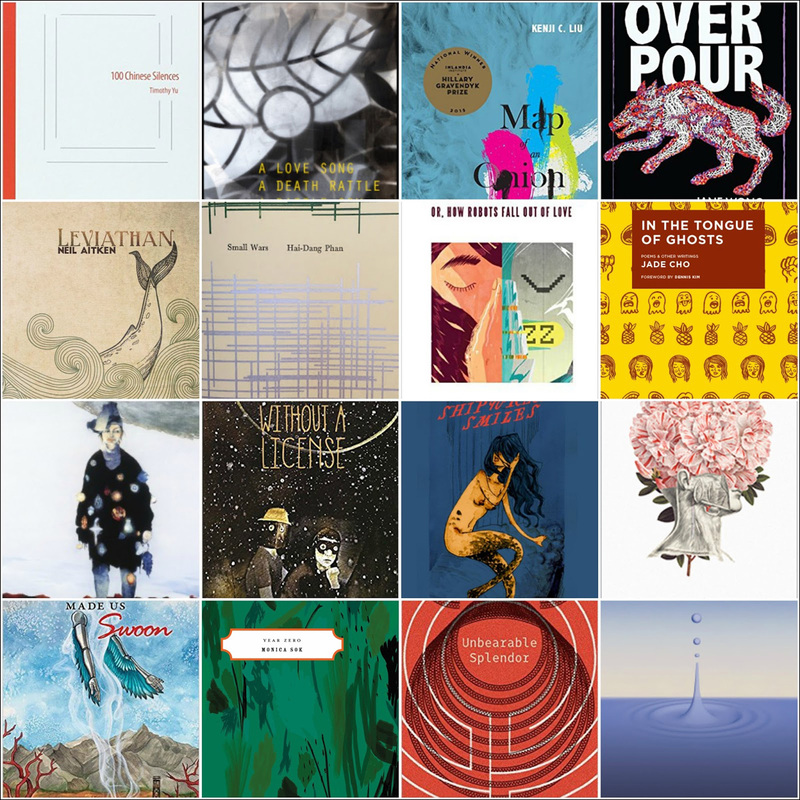 Graywolf Press. 100 Chinese Silences by Timothy Yu. Les Figues Press.